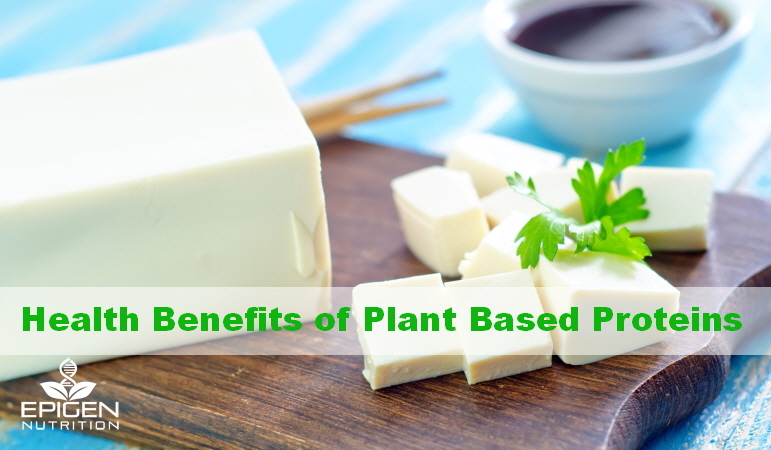 Lately changing to a plant based type of diet has become quite popular for millions of people, and this trend doesn’t seem to be slowing down as the word is spreading about the powerful health benefits of plant proteins. Although it seems to be a new craze we are hearing about due to the recent media the subject has been getting, in actual fact this way of eating dates back thousands of years, with a deep history being traced all the way to the ancient Egyptians in 1550BC. Evidence has also been discovered that the Roman gladiators were known for eating mostly a vegetarian diet, and we all know from our history lessons that those guys were fit and healthy enough and not to be messed with. “Vegan” is a word that was being bandied about around the 1840s, or thereabouts. Vegans don’t eat animals that have been killed, and avoid most animal products in their entirety, which means no dairy products, no eggs, and even no honey. The word, “vegetarian” refers to sticking to a one hundred percent plant-based diet. Look at some of these famous names in history who enjoyed consuming their proteins from the plant world. Leonardo da Vinci, Pythagoras, and even Albert Einstein. And I won’t even begin to try and list all the Hollywood celebrities who are switching to getting their proteins from the plant kingdom over the animal world. There are tons of different diets out there that we can all follow, some good and others not so good. But whatever one you decide to undertake, you can give yourself a bit more of a nutritional advantage by including nuts, seeds and legumes in your recipe. Nuts, seeds, peas, lentils and beans are foods from nature that are powerhouses of nutrition which provide excellent sources of plant proteins. They also contain phytonutrients that can fight against disease, and loads of fibre to help in lowering your cholesterol. A diet that focuses on lean plant-based protein can be highly beneficial in helping to prevent cardiovascular disease, diabetes and also mortality. The Academy of Nutrition and Dietetics reported in 2016 that people who follow vegan diets have a lower risk of getting cancer and hypertension. Eating lean plant proteins has turned out such positive compelling evidence, it resulted in the DGA – Dietary Guidelines for Americans, encouraging and promoting a shift in the public’s eating food patterns to a more plant based diet. They suggested that people should eat just moderate amounts of poultry, lean meats and eggs and to increase more seafood and low fat dairy products. A plant based diet that is devoid of meat and dairy products, that is low in saturated animal fats has shown to be very effective in helping people with diabetes and cholesterol, with the possibility of even reversing type 2 diabetes. If you find you need to cut calories, or are just on a diet to lose weight, we all know how essential it is to stock up on eating healthy foods. Adding plant proteins into the diet might be just the thing to help with the weight loss. By switching out your high fat meat intake with lean plant proteins, you are cutting your calories massively, along with the saturated fat. And to top it off, you are vastly improving the nutritional content of your diet. 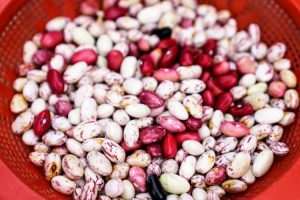 Beans are highly effective here because they are so nutrient dense and contain what is considered to be the top weight loss formula, which is fibre, protein, and water. Diets that consist of fibre, protein, and water are the types that make you feel fuller faster. Proteins require quite a lot of energy to be able to be digested and metabolized more so than fat or carbohydrates. Digestion is slow for plant proteins which means you stay satisfied for longer which means eating fewer calories in the day. So a vegetarian diet is a low calorie diet which makes it so easy for vegetarians to manage their weight. And more good news, eating vegan whole foods has the ability to reduce inflammation too, particularly in people suffering from coronary artery disease. Lots of people from around the world get the majority of their protein from a varied diet of plant and animal products. Experts recommend that we as humans should take in higher levels of protein, particularly those people who are used to eating a lot of refined carbohydrates. When refined carbohydrates are replaced with protein, studies reveal that weight control and cardiovascular disease benefit greatly. Adults need to consume between 46-56 grams of protein every day; that’s about 10 to 35% of our daily calories. You will find all 9 of the essential amino acids in complete proteins compared to plant proteins which have a deficiency of a couple of the essential amino acids. Proteins that come from animal sources will be fish, poultry, milk, eggs, yogurt, and cheese of which all the amino acids are to be found. Plant proteins will be found in grains, legumes, seeds, nuts, and veggies and they are called incomplete proteins. As far as peanuts and tree nuts are concerned, they are the only plant based proteins that have fats in them, but they are healthy fats. Apart from this healthy fat, you will find excellent contributions of fibre and protein and also phytonutrients, although this will depend on the nut. The walnut, for instance, is very rich in plant based omega-3 fatty acids with peanuts being the highest in protein. Almonds contain plenty of calcium and fiber. Eating nuts for protein will contribute to better nutrient intake and also health benefits. Studies done on people who eat nuts found that they have generally healthier diets. A Predimed study showed that those people who ate the Mediterranean type diet which included around three servings of nuts in a week had a 30% reduction in the risk of heart disease and a 30% lowered mortality risk. Nuts have the ability to keep you feeling full for a longer time too, plus promote good weight loss as well. And a diet that includes nuts in it does not make you add on any bodyweight either, unless you eat massive amounts of them. The DGA also found out that beans were so nutritious they increased their recommendations from one cup per week to three cups per week. On top of that beans are versatile too, falling in both the protein and vegetable groups. They are extremely nutritious, adding calcium, fiber, and even potassium into the equation, which is often something that’s missing in so many people’s diets. Take the USA for example; most Americans (although this is a common trait found in most western diets) eat only around 15 grams of fiber which is less than their daily recommended dose of between 25-38 grams. 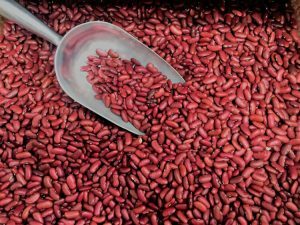 Beans are also known to be great for the heart; a half cup serving a day can be associated with a 38% chance of lowering your heart attack risk. That’s the power of some plant-based foods! It’s not hard to start adding more of these plant based proteins to your diet, which by the way are an excellent substitute for animal proteins. 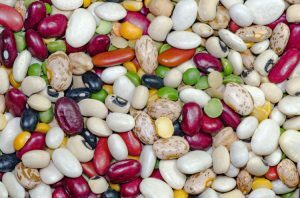 You can use legumes to replace animal proteins, and about as often as you want. They can be used in soups, pasta, stews salads, meat loaves, side dishes and the like, even delicious dips. 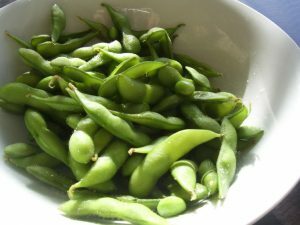 You can also try plant-based meat alternatives, using tofu or edamame. You can find protein powders that are plant-based that you can add to your meals, but it will depend on the plants that were used to make the powders with, which will make them incomplete or complete proteins. The American Dietetic Association says that food supplements can help you if you need to meet your everyday nutrition goals. However, if you eat a large variety of foods that are rich in protein, this is a better method of meeting nutritional goals. But take note, some of the protein supplements could also have sugar or sodium added to them to help improve the taste, so remember to always read the labels. What are the Best Sources of Plant Based Proteins? As more and more people are switching over to vegetarian type meals, the big food chains are becoming all too aware of this and so more nutritious plant-based foods are becoming available on the market. People young and old are turning to plant based diets these days for all kinds of reasons; it can be for their health, for animal welfare reasons for even or religious beliefs. The Academy of Nutrition and Dietetics said in 2016 that a vegan diet was able to provide all the necessary nutritional requirements of children and adults, and even pregnant and breastfeeding women. But, getting enough of essential minerals and vitamins and protein can be hard for those people who don’t eat meat or animal products. People plan ahead to try and ensure they get their necessary proteins, iron, calcium and vitamin B-12 which others who eat animal products usually get. There are some excellent plant products like quinoa and soybeans which are a complete protein. 1. Tempeh, Tofu, and edamame. These are soy products, which contain some really rich sources of protein for if you are on a vegan diet. Look at how much protein you find in soy products. 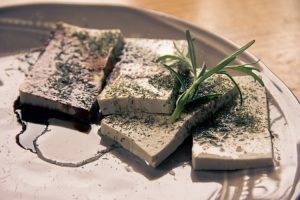 People often use tofu as a substitute for meat, in their sandwiches and soups and because it is so popular, it is used as meat substitutes in dishes such as sweet and sour chicken and Kung pao chicken. Because they also contain calcium and iron, they are marvelous substitutes for dairy products. Lentils come in a few colours such as yellow, green, brown or red, containing plenty of fibre, protein, potassium, and iron. A half cup of cooked lentils contains around 8.84 g of protein, delicious to add for lunch and dinner dishes. It’s so easy to include in curries, stews, and salads. 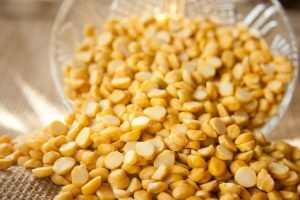 A half cup of chickpeas which are high in protein will give you around 7.25 g. The wonderful thing about chickpeas is they can be eaten cold or hot, in stews, salads, and curries or roasted. Some people like to add hummus to their sandwiches, which as we know comes from chickpea paste – a healthy alternative to butter and packed with protein. 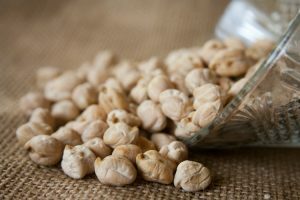 Peanuts are a wonderful snack to enjoy and rich in protein, noted even to improve the health of the heart. 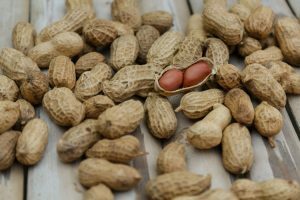 Half a cup of peanuts will offer you around 20.5 g of protein. Kids grow up with peanut butter sandwiches but it’s because their moms knew how healthy it was for their lunchboxes, what with 8 g of protein in a tablespoon. Peanut butter is a delicious snack which and staves off the hunger pangs! 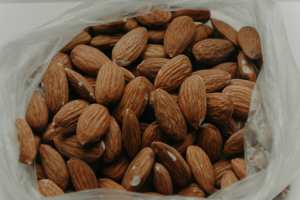 Half a cup of almonds offer you 16.5 g of protein and also a fair amount of vitamin E as well, and we all know how excellent vitamin E is for the health of the skin and eyes. Spirulina is a super food, this green and blue algae stuff that you can find in health shops and some stores, coming in at around 8 g of protein for every 2 tablespoons. Spirulina also contains iron and the B vitamins. You can find spirulina in powdered form and it is good in smoothies, fruit juice, and even just plain water. To increase your protein content for the day, some people enjoy sprinkling it over their salads or snacks. 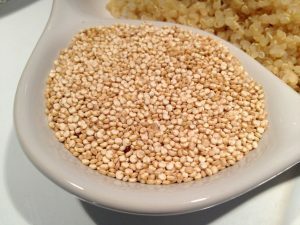 Quinoa is a complete protein grain with an excellent amount of protein in. When cooked, quinoa will offer 8 g of protein per cup, plus you benefit from iron, fiber, magnesium, and manganese. Quinoa is a popular choice for use in stews and soups, or sprinkled on salads. Why Not Give a Lean Plant Protein Diet a Try! Ok so it does require a bit of planning, I’ll agree with that. But su rely it must be worth giving it a try when it comes to protecting your health and even losing weight. Before embarking on any major diet change such as this, you should discuss it with your doctor, your dietician or nutritionist to make sure it will not interfere with any underlying conditions or medication you may have. For quite a few reasons, the plant-based diets have recently become very popular in some of the developing countries, whether this is for health reasons or for ethical reasons. They are also realizing how quality protein foods can be of such benefit to their health. Many of these people believed that when you only stick to a plant-based diet, you did not get sufficient meat, and therefore insufficient protein. Naturally, if you want to follow a diet that is free of animal products, you will need toresearch and plan to make sure you get all your nutritional requirements. Protein has always been the building block of life because it is made up of vital amino acids that our bodies use in more or less every internal process. There are fantastic and complete protein plant foods, but because plant protein will show up as containing smaller amounts of protein than animal proteins when you choose to eat plant-based foods, it will require a bit of planning. It certainly is very possible to get all the nutrients that you need from plant foods, all you need to do is plan your meals sufficiently. Even those people who are into bodybuilding and building large muscle mass may have a more difficult time on the complete lean plant protein based diet, such as a vegan diet, but it is still highly possible to achieve their goals, it just requires focus and the right planning. The only thing to really keep in mind is that some animal and plant-based proteins do contain quite high amounts of lectins; (anti-nutrients). When foods are improperly prepared, it is possible that they can have high levels of lectin in them. Research suggests that people should seriously consider opting to eat more plant proteins in place of animal proteins, for their health, to live longer as well as for their weight. Why don’t you kick-start your protein based plant diet with some fantastic mouthwatering recipes from the plant kingdom itself? Vegans can substitute honey with maple syrup, and eggs can be substituted with chia egg or flax. What about something warm and tasty like Tomato basil brown rice or fried chickpeas using coconut oil. There are a great variety of foods and recipes out there for you to choose from.